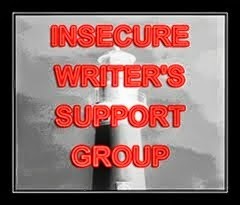 It's time for IWSG--the Insecure Writer's Support Group. We post our writerly insecurities and release them to the world on the first Wednesday of every month. Check us out here. This month's question: What do you love about the genre you write in most often? I'm in the midst of exploring other genres right now, actually. I have a few ideas for some creepy dark short stories (because I had fun writing "Haunted Lake") and I'm working on the beginnings of a contemporary romance series. But up until now, I guess I've mostly written somewhere in the historical genre. What do I love about the historical genre? I love reading about history in the form of a story--because that's when history comes alive for me. I love learning through the eyes of characters. I like all the nerdy details that come with historicals, even if I'm taking a break from historical fiction for a bit. History is so much better when a story is wrapped around it. I wish I could have a cool answer to that question, but I just find what I write fun. I've always found writing to be part fun, but mostly just something I have to do. But it is easier when it's fun! Exploring other genres is great. Every writer should do the same. Why you love to write historical fiction is why I love to read it. I love to learn about another time and different people as I read. It's certainly much more interesting (to me) than the way history is taught in school--or the way it's written about in nonfiction sometimes. I bet historical is fun. I love to do research. Probably best I don't do historical, or I would be sucked in to all the interesting info. It sounds like historical fiction is fun to write... and you do a great job! But I'll stick to reading it... not going to try writing it. I'll second that. I was sharing a whole bunch of fun facts and details from history with my brother the other day. He was surprised and enjoyed learning about it, but admitted he hates research. For real? That's crazy sauce! Historical fiction would be exciting to research and write. I have a good friend who writes historical. I'm not sure what time I'd write about if I ever wrote historical. All the luck in 2018. I'm already following your blog and now G+. I'll be sure to connect with you online. I agree about history and historical fiction and all the nerdy details. There's definitely something great there. Need to think about that more.